With the June 1 fan vote deadline fast approaching, team Ram Nation looks to be a near-lock at this point to qualify for this year’s “The Basketball Tournament”, competing in a South Region full of talented squads. Below is a quick breakdown of what our group of legendary VCU alumni is up against and links to each team’s page to scout for yourself. Note: The 12 teams who have collected the most fan votes in their region by June 1 receive automatic bids into this year’s tournament, leaving four teams having to get in via at-large selection from the TBT’s organizers. Vote total however DOES NOT determine seeding. That is decided by the organizers as well in this year’s 64-team tournament. ODU’s Frank Hassell joins Seven City Grain. He scored 22 points against the Rams in the 2011 CAA Final, his second win over the Rams that season. Team Ram Nation has plenty of 757 representation (Walker, Anderson, Theus). But Seven City Grain is 100% Tidewater. Players Ram fans will recognize include former ODU big Frank Hassell and former JMU big Denzel Bowles — both of whom coincidentally handed VCU losses just prior to the Rams’ 2011 Final 4 run — two of just a handful of VERY talented players who will be reppin the 757. Seven City hinted to me that they may add Allen Iverson, but I’ll believe that when I see it (and I’m sure the TBT organizers second that thought and would welcome AI’s addition to the tournament). These hospitable fellas are led by two talented former Texas Tech Red Raiders including arguably this teams’ most dangerous talent in 2011 grad, John Roberson. Roberson and fellow Red Raider Ronald Ross (class of 2005) can both light it up from distance but may need to with this team’s depth in the paint. The majority of Southern is made up of former DII ballers and could find themselves in trouble against some of the loaded teams in the South Region. They have two bigs from power conference programs but guys that weren’t exactly dominant in their time at those universities (UVA and Missouri). A southern squad with a distinct Tennessee flavor, Showtime is comprised of players from the likes of ETSU, Tennessee, WKU and UAB among others. They have nice size but not a ton of marquee names. Ram fans with great memories may however remember 6’7 UAB grad, Lawrence Kinnard, who dropped 13 on VCU in a home NIT loss for the Rams back in 2008. These guys are experienced but I don’t see them among the elite teams in this bracket. With three players 6’8 or taller, the Seminole County Legends won’t lack size to bang with this year’s South Region squads. They do however have an uphill battle when it comes to the talent needed to make a run through this region. The Prodigal Sons look to represent the Tarheel state with an ECU-heavy team their first season competing in the TBT. Their roster however lacks the recently-graduated talent I think to make much of a run. Things I love about NC? The Outer Banks. The idea of VCU in the Greensboro region in next year’s NCAA tournament. Things I don’t love about NC? This team. I’ve been writing off the teams full of DII talent but this group proves why that may be foolish. The Primetime Players return to the TBT after advancing to the “Super 16” in last year’s competition. What the team lacks in Division I experience, they apparently more than makeup for in chemistry found from hundreds of games together in pro-am leagues. They may need every bit of that experience against what could be an even more loaded tournament field this year. The East Coast Hustle is made up of a solid collection of East Coast talent, dominated largely by players out of New Jersey including three Fairleigh Dickinson. Recent Hofstra grad Dion Nesmith (6’1 guard) joins the group after two upperclass seasons of double-digit scoring in CAA play. He’ll likely be dumping the ball to OK State’s Aaron Pettway (6’11 center, signed a brief 2011 contract with the Washington Wizards) and Xavier’s Travis Taylor (6’9) in the post, giving ECH a nice group of players that could be a bit of a sleeper team in this region…that is if they can hang on to the votes to secure a top-12 automatic bid. The Memphis Tigers find themselves with their first alumni team competing in TBT action with this year’s Buff City Blues. This year’s group is comprised mostly of 2012-13 players not currently balling in the NBA. This group will bring talent and chemistry from some very successful Tigers teams and while may not be made of Memphis’ best should still be better than the bests of a lot of teams in this region. 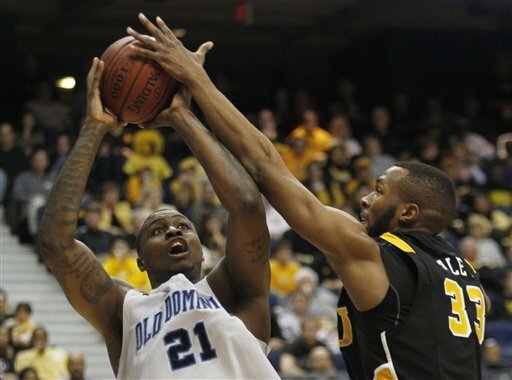 One former ODU Monarch teams up with a bunch of guys from Armstrong State and calls themselves OPI. If you’re an Armstrong State grad this team is a dream come true but again, this is likely another group outmatched by teams made up of high-level DI players and former professionals. Former Ram Jamal Shuler turned down an offer from Ram Nation to play with his agency team in this year’s TBT. HBC brings one of the most dangerous teams in this region and should be an obvious at-large pick if they aren’t able to finish in the top-12 in fan voting. You’ll recognize a ton of names off this team too, including VCU grad Jamal Shuler (hey, we tried to get him). HBC is a combination of last year’s HBC team and last year’s AMR team (Shuler’s agency team). Shu is joined by former Wake Forest guard, Justin Gray, underrated Drexel big Frank Elegar, former UMass center Rashaun Freeman and overall just a well-rounded and very dangerous team, capable of winning this whole tournament. The TNT is clinging on to tournament dreams thanks to the ATL All-Stars having the 10th most votes but being ineligible currently due to a roster that consists of zero players (hard to play that way). These Florida ballers have a solid group full of DI talent but I think would need an auto-bid to get in over the at-large teams I’ll list below them. If they do make it in with this group they will have to win with some serious small ball, boasting just one player that stands above 6’6, that player being 6’9 UCF grad Keith Clanton, a very solid former Golden Knight but one that would basically have to play all 40 minutes for his team barring a late pickup in the paint. BDB currently sits outside the top-12 but not by much and should be a lock for inclusion thanks to a talented roster that includes three Cincinnati grads (all 6’9 or taller), Baylor grad LaceDarius Dunn and underrated Illinois State grad, Daishon Knight (who scored 11 points again VCU on Dec 2, 2014 in a close VCU home win). Did I mention Kanasas’ Josh Selby is lacing em up for BDB as well as acting as team GM? Well it’s true. 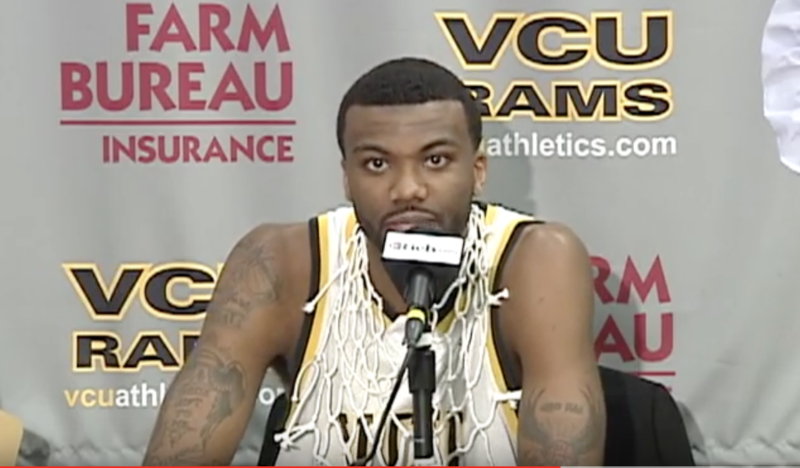 Selby last played VCU in March of 2011 and we all know how that went, so look out for BDB to be a real problem in this bracket and could be playing with some slight revenge in mind if they face up with Ram Nation. Two things I like about this team and their potential storyline in this tournament: 1) like a lot of these teams, they are full of former DI talents, albeit mostly smaller schools in the state of Arkansas. And perhaps more importantly 2) they are currently playing together…a ton. Arkansas (EBL) Finest will hope to rep the EBL (Elite Basketball League) with a team as I understand it basically plays currently as “Arkansas Elite” in that league (who’s website says they have a 12-1 record). Chemistry could be a serious equalizer in a tournament like this where you have some teams that on paper look to have a major talent advantage and others who come in with much more chemistry (I’m hopeful team Ram Nation will have that as well having run a system for multiple years). This group made up of mostly Eastern Kentucky grads, as well as recent Fordham grad, Ryan Rhoomes, could have the talent and chemistry to make a run IF they are lucky enough to grab an at-large bid. Sitting a 21st in the rankings that looks to be their only option with the June 1 voting deadly quickly approaching. If they do, watch out, as the kids’ team includes three of their top players from the team that nearly upset VCU in the Stu back in December of 2013 and adds two players in Rhoomes and one-time VCU target, Jarelle Reischel (who transferred like 100 times in college). But will they be one of the lucky at-large teams? They need to hope team BDB works their way into the top-12 before June 1 to make things easier. For starters, how much fun would a Blue City Blues versus Kings of Memphis matchup be? Talk about bragging rights on the line! The Kings have some very solid school representation on their small roster including two talented players from the 2010 Tennessee Vols squad in Wayne Chism and J.P. Prince, former NBA 1st rounder Qyntel Woods (who was playing in the league when B.A. and JPR were getting their college careers started at VCU), NBA 2nd rounder Terrico White (Ole Miss) and 2007 2nd rounder Derrick Byers (UVA/Vandy). Clearly the Kings have the talent but what they currently don’t have is the votes and the depth. At seven total players, an at-large selection MIGHT be a risk. What if…what if…two players decide they can’t make it for other obligations (NBA Summer League?). What if three don’t? At seven players (the minimum needed to be eligible), Memphis has a talented team but one that might not see actual tournament action thanks to a lack of fan support and a small roster. 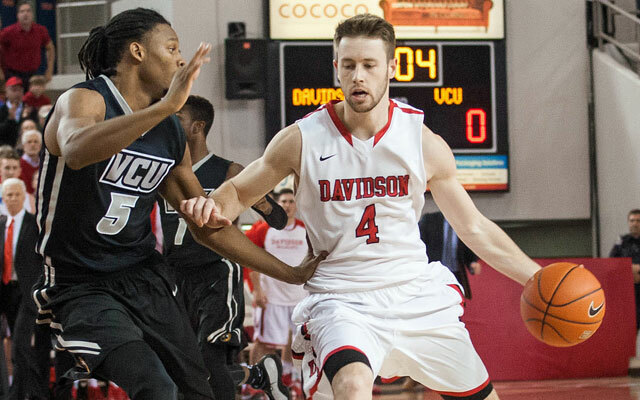 2015 A-10 Player of the Year Tyler Kalinoski will hope to lead Davidson’s first alumni team in this year’s TBT. Another team that will look VERY familiar (and scary) to VCU fans is the Cat Pack. While they have struggled to collect votes they have not struggled to collect talent, adding 2015 A-10 Player of the Year Tyler Kalinoski as well as former backcourt mate and recent grad, Brian Sullivan (I’d take both on my team in a heartbeat). Jordham Barham joins the group as well as a slew of recent Davidson grads, making this team one of the most connected and dangerous teams in the region. I’m personally rooting for them to get in to see how they matchup against one of the talented big-dominated teams. These boys can ALL shoot so they could be trouble for a squad like BDB or Seven City Grain, and it helps that they’ll be playing in their hometown and could own the crowd advantage…that is IF they make the tournament.